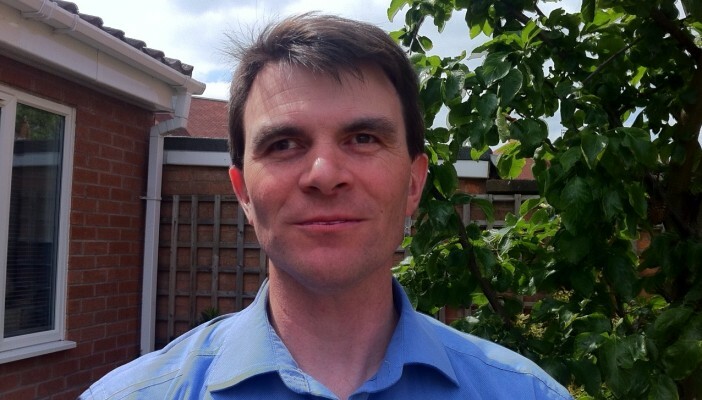 Robin Christopherson is Head of Digital Inclusion at AbilityNet, and a technology enthusiast. He knows first-hand how empowering technology can be for people with sight loss. Here, Robin introduces some of the in-built accessibility features he uses for PC and tablet and his favourite apps for smartphones. It’s hard to imagine how technology couldn’t improve the range of choices and quality of life available for people with sight loss. We now have the power of a computer in our pockets wherever we go thanks to smartphone technology. When one or more senses don’t work, it can be incredibly empowering to be able to access a range of artificial sensors like the camera and GPS on a smartphone. In the past, people with sight loss had to purchase expensive and often relatively limited devices. As a blind person, I relied on a talking GPS (£750), a talking notetaker (£1500), a talking MP3 player (£250), a talking barcode scanner (£100) and many more specialist devices – all that had to be carried around in a backpack and each with their own charger. Now, I have all that functionality and an awful lot more in one device. Mainstream gadgets such as smartphones often come with accessibility features built-in and which offer thousands of apps that do the same functions, conveniently, for a fraction of the price. That same device is also almost infinitely expandable with each new app or service that’s developed. What can be tricky though, is knowing the full extent of the accessibility possibilities on offer. Of course, many people with vision impairment are older and not as familiar with technology as younger ‘digital-natives’. But it’s almost universally the case that apps are easier to use than websites. In addition, smartphones or tablets don’t need the same antivirus or malware protection or complex and variable ways of installing software. Instead, smartphone users can browse thousands of apps on the Play Store (Android) or App Store (iOS), read a description of what it does and download the app within a matter of seconds, many of which are free of charge. Each app is then saved to the phone and free to open whenever the user wants to use it. There are also ways of setting up or even limiting what someone can do on their device so that they don’t feel overwhelmed. For people who use a PC, Apple computer, smartphone or tablet there are a huge number of built-in accessibility features that can help meet the user’s particular needs. In my opinion, Apple leads the way here, but there are useful features on all devices and the gap is closing fast. For step-by-step guides to features and settings, please visit AbilityNet’s online resource called My Computer My Way (and don’t be fooled by the name – it covers iOS and Android too). Smartphones or tablets are a gateway to literally tens of thousands of apps that are both accessible and incredibly useful. This could be an extremely long article if I covered all the apps commonly used by blind and partially sighted people so I’m going to focus on my top few. I’m starting with the simplest. The Light Detector app will transform any natural or artificial light source that it encounters into sound. Open the app and point the camera in any direction. You will hear a higher or lower sound depending upon the intensity of the light. It’s ideal for telling if lights are on or off or if the oven has reached temperature. This app couldn’t be more useful. Open the app and point the camera at an object or some text (it works best with larger print) and Talking Goggles will speak out what it is. I use it for all packages or jars in my kitchen, shops or signs when I’m out and to help me read menus in restaurants. I find it indispensable. With the touch of a button, the KNFB Reader uses your smartphone camera to take a photo and it will read virtually any type of printed text within the photo including mail, receipts, classroom handouts, memos and also books for pleasure. It can cost quite a bit (usually around £49 depending upon offers) but is specifically designed to accurately recognise print of all sizes and layouts. Users can also save documents to read later at a later date. Aipoly uses artificial intelligence to identify up to three objects a second. Open the app and hold it up to the thing that needs identifying. There’s no need to snap pictures as the app will constantly see, think and describe what it’s being pointed at. It should be a huge help around the house and when out and about and actually improves as you use it. Be My Eyes is an app that connects blind people with volunteers from around the world via live video chat. When the user needs a person, rather than a computer program to explain a label or expiry date, open the app and simply tap on the ‘Contact next available helper’ button. Within a few seconds the user will be connected with a volunteer helper from across the internet. Use the camera to point at the object for example reading ingredients of a recipe. The helper can hear the user’s voice and will respond by speaking back. Get friends to download the app too and they can offer their services as a sighted volunteer. This app is probably the best GPS for blind and partially sighted users. As well as giving spoken directions as the user walks, it describes the environment, announces points of interest and street intersections as you travel. It can also be swung around like the old tricorders on Star Trek to be pointed directly where the user wants to go. This app really comes into its own for people who are both blind and severely motor-impaired – although anyone can use it. It is a very powerful way of controlling a wide range of functions (such as writing and reading texts, sending tweets and emails, and playing music, podcasts and audio books) purely by voice. Everything is spoken back giving a completely hands-free, eyes-free operation. This app puts the user in touch with a huge community of others with sight loss. VORail is like Facebook for audio-users. People can easily post or listen to recorded questions, comments or discussions on a wide range of topics – or just start new topics. These are just a few of my favourite apps that I find help me on a day to day basis. The apps I’ve mentioned suit my lifestyle but I know they may not be for everyone. However, I would encourage people with sight loss to try out different technology and apps that suit them so they can benefit from some of the great options available out there. Visit AppleVis for more in-depth information and reviews of hundreds of the most commonly used accessible apps. For more information, advice or guidance from Robin, please feel free to call 0800 269545 or email [email protected]. Watch a film of Robin speaking about technology. AbilityNet is the UK charity that helps disabled people including those with sight loss to use computers and the internet by adapting and adjusting their devices. Online Today is a Big Lottery funded RNIB project to help more people with sensory loss to use technology in their day to day lives. Online Today is supporting people across the UK from home visits by trained volunteers to locally run group sessions, training and one-to-one support.